I'm finally back on here and hoping to pick up right where I left off! I did have a few posts lined up from 8 months ago but I think I may just scrap them and start fresh (Sorry C, M, J and A - I know you were looking forward to the Gin Long post). I've chosen a new name, URL and layout which I'll explain more about here. Last Friday, 2 of my besties and I were finally able to try out a place that has been atop our list of 'Places to Visit' since it opened - Bread & Bone Wood Grill! We didn't find it too difficult to find the place as we'd done a little bit of reading on it beforehand. 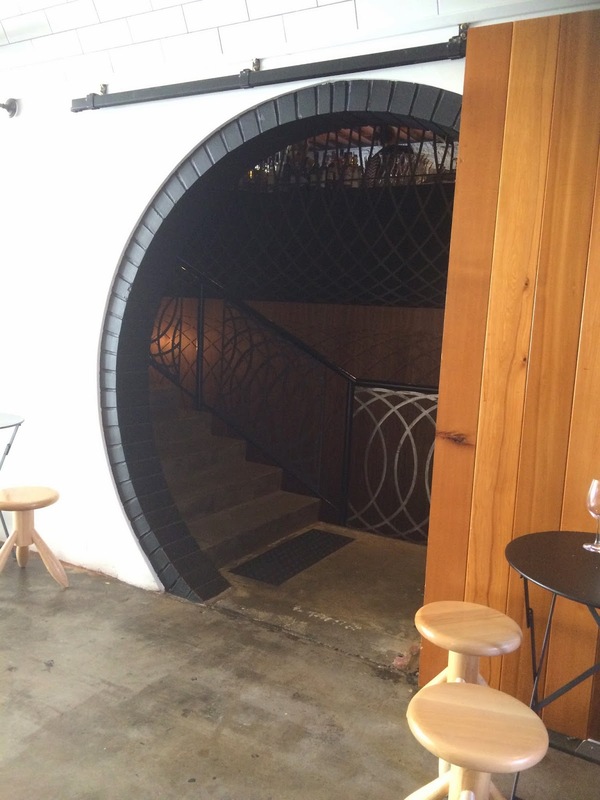 Basically, there's a tunnel that connects Peel St and Leigh St, in which you will find the entrance to Bread & Bone. My first impressions were that it definitely conforms to the popular industrial-themed decor with a 'casual yet still very cool' vibe. Features such as the grating (I think that's what it's called?) behind the bar and the dim lighting makes it very classy, yet the exposed ceiling and uneven wall where we sat added to that industrial aesthetic. The uneven wall was memorable in a sense because my friend thought it was too uncomfortable to lean on! Lucky for us, we were there at just the right time because it felt like as soon as we were seated, the entire place was packed! We were met at the top of the stairs and seated promptly upon arrival. We were seated on a table with a pivot which I thought was the perfect size for 3 guests, assuming they don't order lots of sides! The waiter provided us with menus to peruse, and our order was taken within 5 minutes. We decided to share a side of Fries ($4), which arrived first approximately 20 minutes after we ordered. We were absolutely starving so were really hoping they would be piping hot and crunchy! Unfortunately, the complete opposite arrived. They were on the cold and soggy side, and if I was to be super picky, unevenly salted with most of the salt sitting at the bottom of the bowl rather than clinging to the fries. After another 5 minute wait, our burgers finally arrived! YUM! Let's just say that this is definitely one of the best burgers in Adelaide. The beef patty was juicy and full of flavour, and when paired with all the other ingredients, made a delicious and very satisfying lunch. Something I did notice was that those onions are definitely NOT caramelised. In saying that though, I really didn't mind them being raw because they added a little more crunch to the burger. Again, if I was to be super picky, I'd say the presentation of my B&B was a little sloppy in comparison to Julie's (refer to the picture of our little feast), with lettuce falling out onto the plate and unevenly placed speck. Angela went for the Cheeseburger which she absolutely loved and says is one of the best she's ever had! All the burgers were served with some tangy pickles which were great to balance out the meaty richness of the burgers themselves. After finishing the burgers and having our table cleared, we decided to order and share the two soft serve flavours on the menu. Approximately 15 minutes after ordering, a waiter came over to inform us that the soft serve machine "needed to freeze more" before rushing off (say whaaaat?). We weren't too fussed and the soft serves arrived a few minutes later. Super rich, sweet and creamy. Basically chocolate flavoured soft serve that was red-tinged! The chocolate shavings at the top were also the 'good stuff', not that cheap chocolate that turns rock hard. Overall, not too bad but we probably won't be ordering it again any time soon. Yuuum! The soft serve itself was light and not overly sweet. Topped with the most delicious caramel popcorn, we all agreed this is definitely something we'd order again and enjoyed more than the red velvet soft serve. Overall, I'd say we had a great experience at B&B in terms of the food. The burgers were definitely stood out and were very reasonably priced. I still think the service could be improved, but I also understand that lunch time on a Friday can get pretty hectic! From where we were seated on the low tables along the side, it was difficult to get the attention of the waiting staff as we were blocked by the taller tables and people sitting on bar stools. A tip if you're thinking of visiting, get in early because B&B don't take bookings. 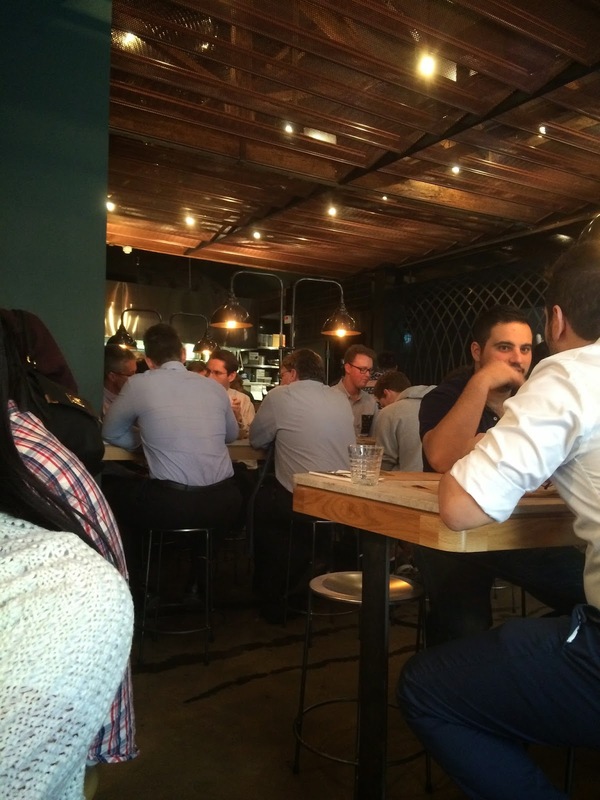 We arrived just after midday on a Friday and were lucky to just grab a table. One of my friends made the mistake of arriving at 6:30pm on a weekend was told there would be a minimum wait of 1.5 hours! Apart from a few minor issues, we had a great first experience at B&B and will definitely be back soon!